Natural materials add individual character, which is currently very much in demand. In bathrooms too. 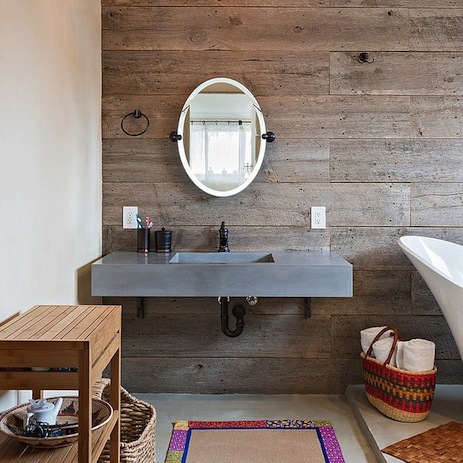 A passion for authenticity is really influencing home décor: perceptibly authentic surfaces, natural materials and elegantly rustic walls are currently popular. 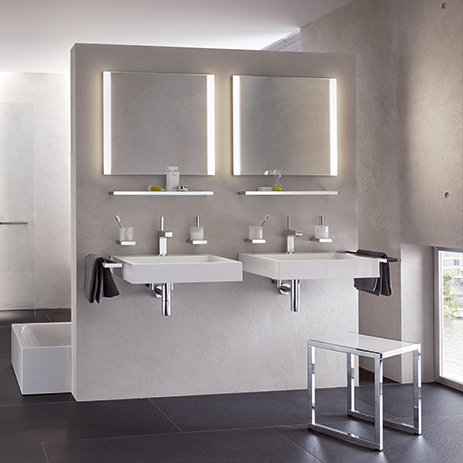 In bathrooms and kitchens, this trend is apparent in the form of handcrafted rendering or unconcealed concrete. This ranges from rough brick through to rustic wall design. Therefore it's only logical for the trend to also encompass materials featuring industrial aesthetics, or even recycled building materials or materials that have a used look. The purpose of this design is to give the rooms an authentic atmosphere as well as a warm, sensuous feel. 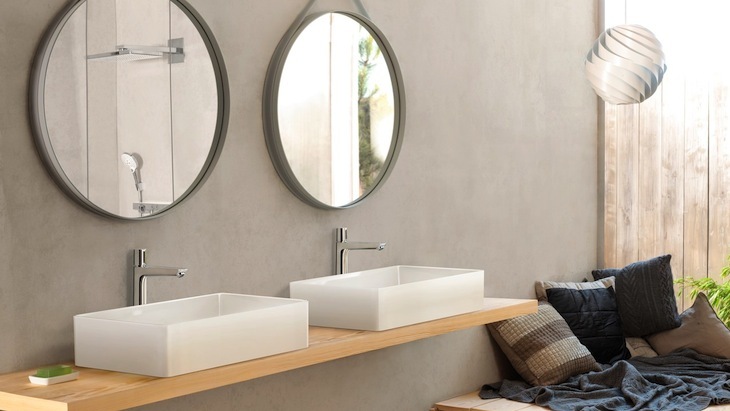 As Hansgrohe observed at the latest trade fairs for interior design and architecture, customised design featuring authentic materials is replacing the cool look of white, immaculate walls. In many cases, clients appreciate the advantages that unclad cement plaster walls offer in terms of the indoor climate: the walls regulate humidity, since to some extent they absorb the steam typically created in a bathroom without sealing it in, and they release the moisture over an extended period of time. Open-pore wood is popular because it is breathable, with the trend towards a rough look. 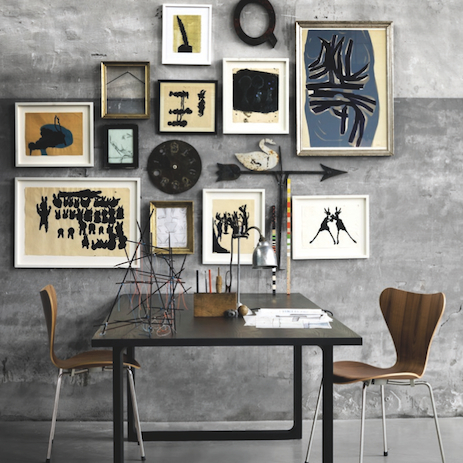 The rough charm of loft apartments, along with traces of imperfection, have a particularly fascinating appeal. If you are looking for a simple solution in a vintage look, wall décor will create the visual effect you are after: you can even get innovative photo wallpaper, inspired by coarse materials, for the bathroom. 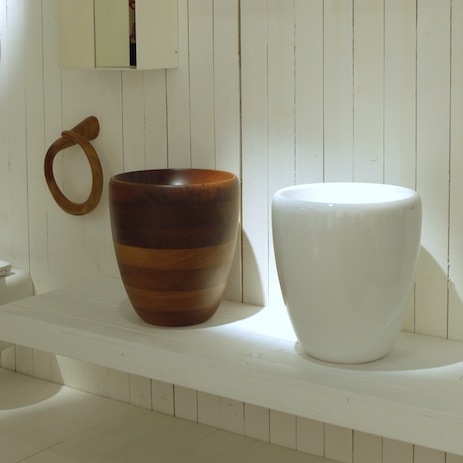 So it takes practically no time at all to alter the atmosphere in your bathroom to suit the current trends. 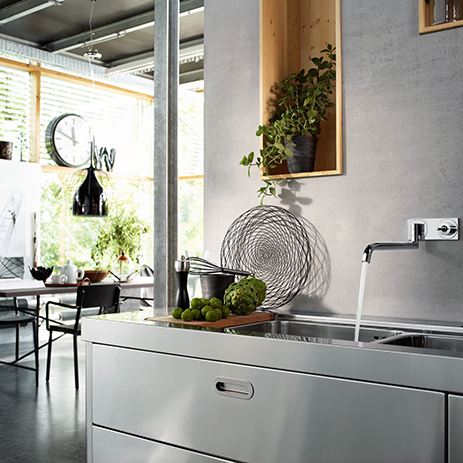 The imperfect look of rough, authentic walls fits in really well with Hansgrohe's Modern range. The bathroom mixers have clean forms, and their design is elegantly discreet: creating a smooth contrast in an elegantly rustic ambience. 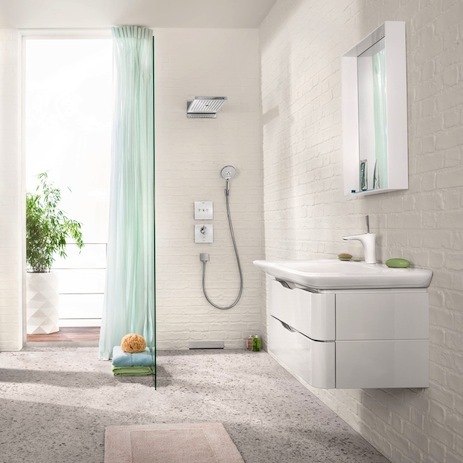 Displaying an awareness of material quality is also very trendy, and Hansgrohe is impressive here too: Hansgrohe Rainmaker Select focuses on the natural look of glass. 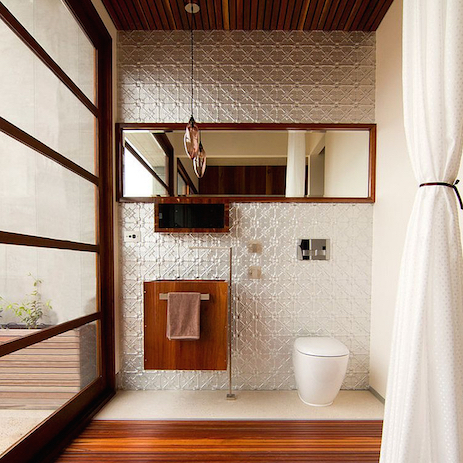 Glass is attractive thanks to its flat, blemish-free surface, and it will integrate perfectly into any clearly defined bathroom architecture. Glass embodies timeless authenticity, and it also features in the ShowerTablet Select and the ShowerSelect pre-fab sets for bath tubs and showers. Download the Hansgrohe Showroom App and delve in deeper!